The Real Neat Blog Award.. – Talk Exchange..! What an amazing start of 2019! This Award definitely indicates that 2019 is going to be a glorious one. A big Thank You to yaasotaa for nominating me for this prestigious award. I feel really nice that Talk Exchange..! was considered to be a Real Neat Blog! Dear Readers, Do visit yaasotaa blog as her work is captivating and jaw dropping! Q1: Who is your favorite actor in HOLLYWOOD?why? Ans: Shane West, who played the role of Landon Carter in the movie ‘A Walk To Remember’. I like him because of his looks and nature he portrayed in the movie. Q2: If you have super powers, what would you do? Q3: What is the best and worst purchases you’ve ever made? Ans: Worst purchase is the pain I have given to my loved ones and the best purchase is the love I have received from my loved ones. Q4: What is the most interesting thing you’ve read or seen this week? Ans: The most interesting thing I’ve seen this week is the school for the underprivileged I had visited as I realised that though they don’t have as much as we have, they have pure hearts and artistic minds. Q5: If you could know the absolute and total truth to one question, what question would you ask? Which one thing would you sacrifice if you were supposed to? What efforts will you take to help the underprivileged? What are your thoughts about the life after death? Dear Readers, Please feel free to answer the questions in the comments sections below. Waiting for your answers! Thanks Neha for nominating me for this award. Abundant blessings. Wishing you a successful and joyful New year. I forgot to congratulate you. Congratulations dear. You deserve it. Thanks a lot dear…Waiting for your answers…. 1) I would sacrifice my love for muscle motorcycles, it’s a guilty pleasure that I possess. 2) Well, I’m already working with multiple NGO’s to provide better education by taking classes at regular intervals and providing them funds to buy needed items. Coming to the efforts I would like to take, I would like to build a playschool for underprivileged once I have funds enough to do that so that we can carve a better path for them. 3) I love “Pao Bhaji” but I don’t eat it quite a lot because of my fitness schedule and gym. 4) It must be taking your present life forward at a much slower pace where 1 day would be equal to more than 100hrs maybe? 5) I don’t watch movies though, But the documentary that I would recommend is “This is what winning looks like by VICE/Ben Anderson”. I love VICE documentaries as they relate to practicality and show us the situation at ground zero. I hope you lead your blog the way you’re leading now and you achieve tremendous success ahead. All the best and congratulations. Thank you very much..Happy New Year..
Congratulations! Thanks for the nomination, it’s most kind and is a new one for me. Wishing you a happy, healthy and successful New Year. Congratulations Neha… Ur blog deserves it..
Amazed by ur 2nd answer.. good..!! I used to visit Orphanage during my birthday month. This year I will try to visit more than what i used to do.. Again more than offering food, sharing knowledge is important.. I seriously have no idea about it… May be that doesn’t exist. Dhuruvangal pathinaaru – A tamil movie for its mind blowing thriller script. Thanks Neha… Keep sharing inspirational posts.. Have a great year.. Which one thing would you sacrifice if you were supposed to? – I will sacrifice my greed to help someone If I can. What efforts will you take to help the underprivileged? – To Educate them, maybe can take up weekend classes. What are your thoughts about the life after death? – If you live life in right spirit, your spirit will stay alright after death. Which is the movie that you love the most and would recommend? – Go an watch Secret Superstar and achieve your dreams. Also, thank you so much for following my blog.I hope you will like my posts as and when you read them! In my view when somebody congratulate you for any thing you should thank that person lest it is seen as rude behavior. Think abt it! Yes dear..That’s true..I am really sorry about it…I accept my mistake…And I thank you very much for your support! I’d sacrifice my time and energy if I were supposed to, for we really have less of both. I’ll help them stand up for their self and earn for themselves. Well I mostly like everything as long it is not spicy. And I really love exploring different kinds of sweets. So got no one specific dish. I think Life is an illusion an death is only the beginning to our real life. “Deep Impact” (1998) AWESOME disaster movie which mainly focuses on the characters and their stories and what they are going through and leaves the action and comet stuff until the last part. I like how the music and that really creates a feeling of hopelessness, so it was nice that they succeeded. You are in for an emotional rollercoaster, especially when it gets into the last part. Highly recommend this brilliant scripted and directed movie. The three Narnia movies – fantasy, action, adventure movies. All brilliant. Inside Out (I think it was released in 2015) – the story is narrated by the emotions inside a person’s head. Another emotional roller coaster and very thoughtful and thought-provoking (and yes, it is extremely emotional). Oh..I thought you are from Bengal or that region somewhere..And yes..Maharashtra is an amazing place..I love it here..The people and everything..I suppose you from Mumbai..? Yes..proud to be a part of this state..Back to Bengal I guess now..? Yes now in Bengal. But most probably a chance of coming back to Pune during the middle of this year. Oh! Very thank you..🤗🤗 it is easy to learn also. Many of my friends there were from mumbai, aurangabad, nasik etc. Oh..That’s nice..You must have learnt some of Marathi then huh? Actually very little. 😀 but I can understand..
One One friend Sachin was from there. You might have known how beautiful this city is..! 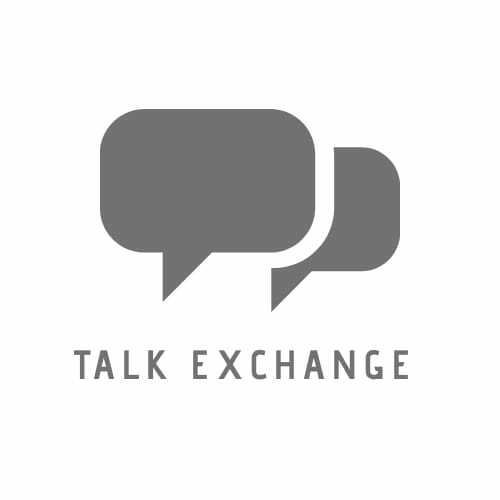 Thank you very much..Keep visiting Talk Exchange..!